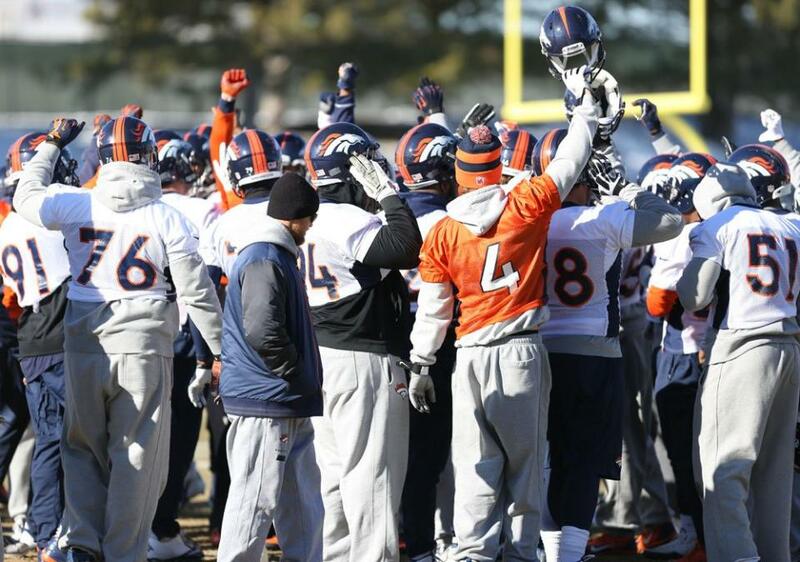 Home » DENVER BRONCOS » Will Broncos extend AFC West undefeated Streak tonight? Will Broncos extend AFC West undefeated Streak tonight? The Denver Broncos close out their home schedule tonight against the San Diego Chargers on Thursday Night Football to kick off week fifteen. Will the Broncos extend their AFC West undefeated streak? Since Peyton Manning signed with Denver last year, the Broncos are 10-0 in division games. So far this season, the Broncos have swept the Chiefs and won their first games against the Chargers and Oakland Raiders, whom Denver will play in Oakland on Dec. 29. The Broncos lead the NFL in points per game (39.6), yards per game (465.6) and passing yards per game (341.2). Manning is averaging 3.46 touchdowns per game. He has had at least one touchdown pass in all but one game and has thrown for at least four touchdowns in seven games. Denver has already broken NFL records this season. In the season opener, Manning threw for seven touchdowns to tie for the most in a game. Last week Matt Prater kicked a 64-yard field goal, the longest in NFL history. Also last week, the Broncos became the first team in history to score 50 or more points in three games in a season. Denver is the first team to have four players with ten touchdowns in a season. Eric Decker, with this eight touchdowns, may soon make it five players. The Broncos are on pace to break more NFL records in the final three games of the season. Denver needs 75 more points to break the 2007 Patriots’ record of 589 and 1,422 yards to break the 2011 Saints’ record of 7,474. Manning needs six touchdowns to break Tom Brady’s record of 50 and 955 yards to break Drew Brees’ record of 5,476. Last week the Denver Broncos clinched a playoff spot. With a win tonight and Chiefs loss Sunday, the Broncos can win the AFC West for the second consecutive year. Also with a win tonight and losses by the Chiefs and Bengals Sunday, Denver can secure a first-round bye. GO BRONCOS! Join me tonight on Twitter @DeenasDays as I live tweet throughout the game #SDvsDEN.